Introduction: The Training of Trainers (TOT) is an activity under the project ‘Consolidating civil society’s role in the transition from African human rights standards to practice’ to be implemented by the International Commission for Jurists(European Institutions and Kenya branches), Norwegian Refugee Council (NRC) and the African Centre for Democracy and Human Rights Studies (ACDHRS). Independent civil society actors and human rights defenders are key players of social change at the national and local levels who monitor the application of international human rights standards, follow-up of the implementation of judgments, decisions and recommendations of African regional human rights mechanisms. They also contribute to the consolidation of States’ capacity to ensure implementation of regional and international human rights standards. Objectives of the Training: The general objective of the TOT workshop is to build the capacity of a large group of Trainers representing human rights NGOs, Journalists and Lawyers to equip them with knowledge and skills for a proper and more effective way to engage with the African Commission on Human and Peoples’ Rights (ACHPR), the Committee of Experts on the Rights and Welfare of the Child (ACERWC) and the African Court on Human and Peoples’ Rights for strategic advocacy and litigation. 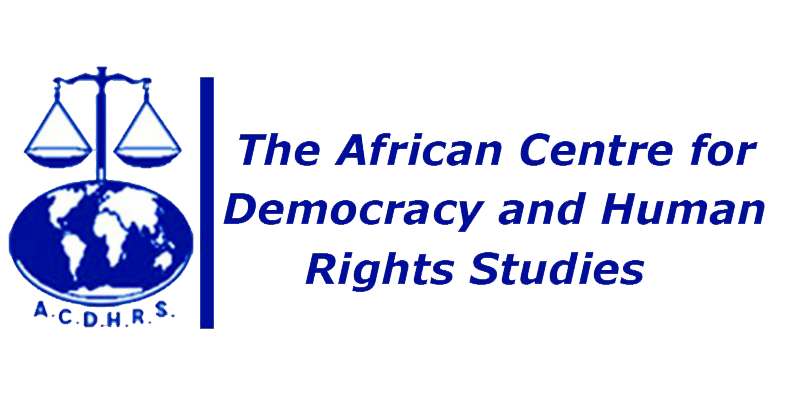 It will serve as an induction especially for those HRDs with little or no prior experience engaging the African human rights system. 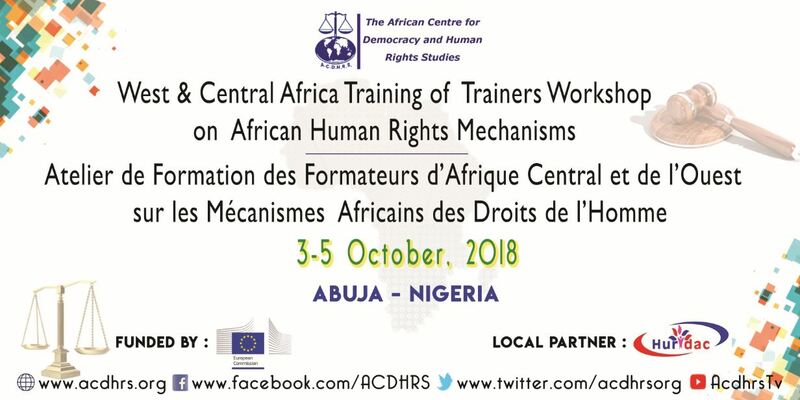 Participants: The training will target representatives of human rights NGOs, Practitioners, Lawyers and Journalists from different African countries. Resource Persons: Resource Persons will be drawn from the Organizers and Partners pool of Resource Persons. Date and venue: 03 – 05 October, 2018 – Abuja, Nigeria. Languages: The Training of Trainers (TOT) will be directed in both English and French with simultaneous interpretation services. Methodologies: The training would comprise of general lectures and discussions, debates, case studies and break-out sessions. Monitoring and Evaluation: An immediate evaluation will be carried out following the end of the TOT. A follow-up evaluation will be done six months thereafter to further evaluate how participant have progressed in engaging with the Mechanisms, if any. Certificate: Participants would be certificated at the end of the training.